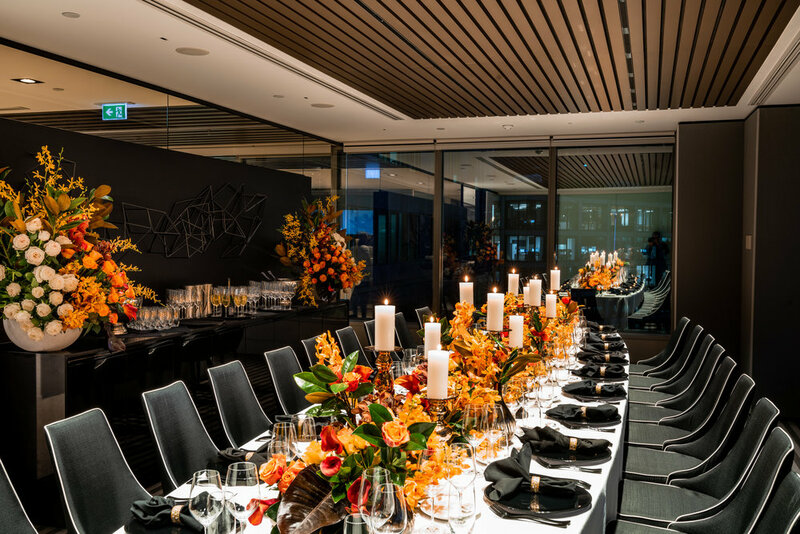 Warm and moody tones were perfect for this winter event styled by Events by Nadia for Australia's Top 25 CEOs. 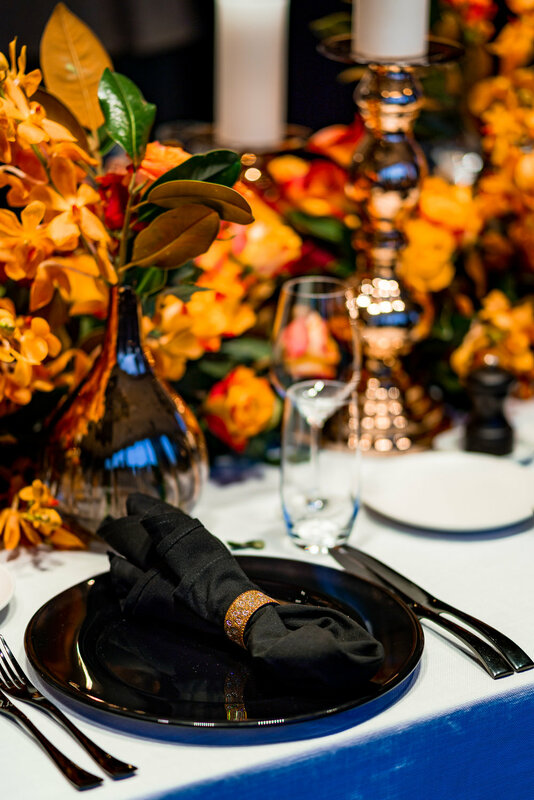 Vibrant tones of orange were offset by black place settings and touches of gold added the perfect amount of glamour. 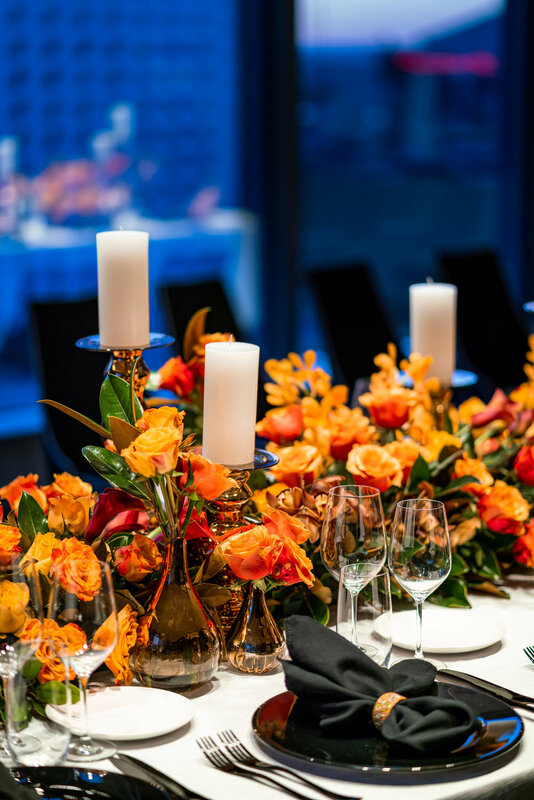 A collection of lush floral arrangements and elegant gold candlestick created a voluptuous tablescape for this exclusive event. Created in collaboration with Solotel. Images courtesy of Inlighten Photography.